Expecting a 100% organic and traditional formula for cleansing your skin? 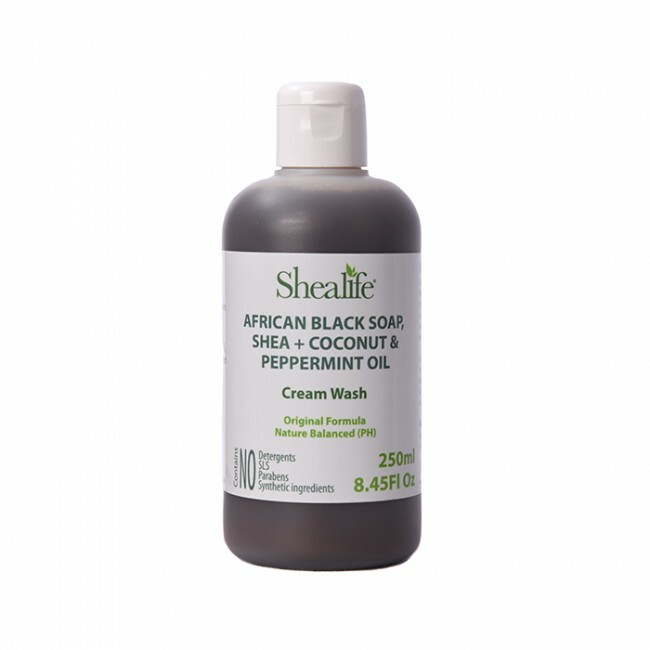 If YES; then African Black Soap, Soap, Shea, Coconut and Peppermint oil is one of the best options for you. This foot and body cream wash formula is an excellent solution for cleansing, revitalizing and nourishing your skin and that too at a very affordable price tag. This product by Shea life is being composed of 100% organic natural and traditional ingredients that make it a perfect and absolute safe option to be used on your delicate and extra sensitive skin. The price tag it includes is very much low than that of similar products in the market and hence can be easily purchased by a lot of people. There is no involvement of additional SLS, Detergents, Parabens and Synthetic ingredients in the product and hence entirely safe one to use on every kind of skins. It is indeed a great body cream wash formula that offers you a gentle creamy foam correctly cleansing, revitalizing, and nourishing your skin. An excellent cream wash formula works effectively on every kind of skin. Cleanses revival and nourishes your skin. It offers you extreme protection from sunlight. Well composed of vibrant colors making your skin more glowy and healthy. 100% natural and traditional formula that includes Aqua, Shea butter, Coconut Oil, Palm Kernel Oil, Cocoa Pod Ash, Cocus Nucifera, Mentha piperita as its main ingredients. No added preservatives and scents and an entirely away from additional SLS, Detergents, Parabens and Synthetic ingredients. Affordable price tags; that make it easy to purchase for everyone.